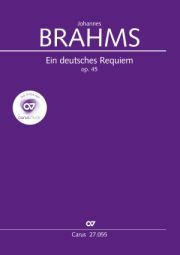 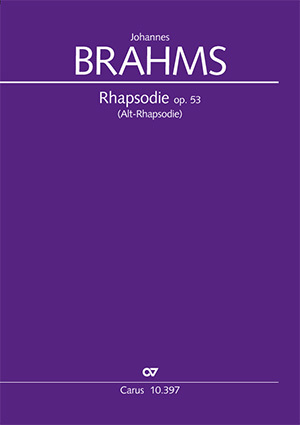 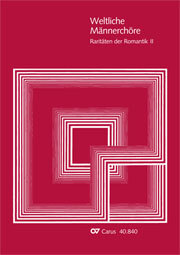 Johannes Brahms’s Alto Rhapsody is published here in a new Urtext edition, modernised for present-day performance practice. 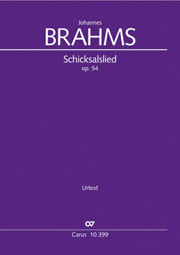 It is based on the 2nd impression of the first printed edition, as this is regarded as the authentic musical text following the last revisions made by the composer. 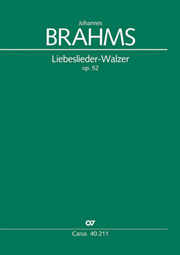 The musical setting of Goethe’s poem Harzreise im Winter opens with a somber beginning, then by turning to divine powers, it arrives at a hopeful new level. 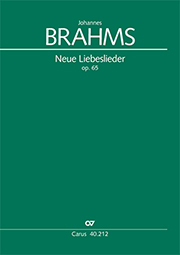 The work – which was composed in connection with the marriage of Julie, the daughter of Brahms’s revered Clara Schumann, in 1869 – impresses above all with its personal touch as well as its pioneering progressive harmonies and enormous compositional power, which still entice listeners into the concert hall.